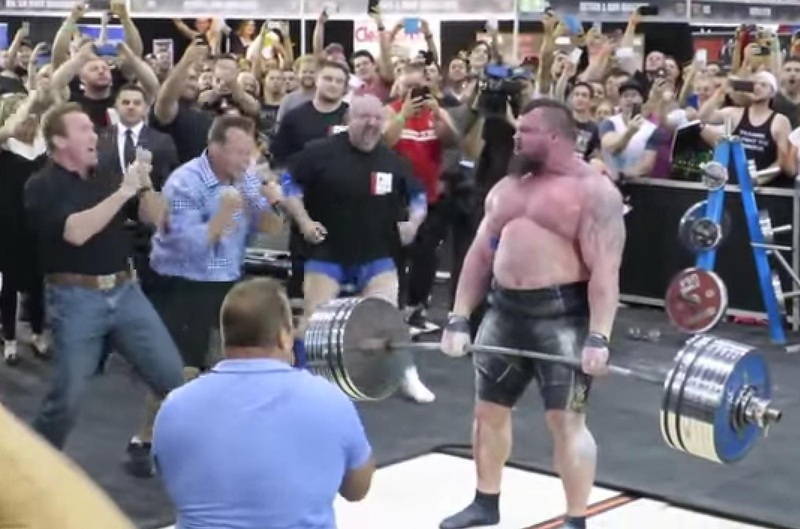 World’s Strongest Man athlete Eddie Hall, known widely as The Beast, was cheered on by none other than Arnold Schwarzenegger as he set a new deadlift world record, lifting over an incredible 462kg, at the Arnold Classic event in Australia, a weight lifting convention organised by the seven-time Mr Olympia winner-turned Hollywood A-lister. Much to The Terminator’s delight, Hall was able to hoist the gargantuan weight up to a vertical base, with a new record being set at a knee-shattering 462kg. Once Hall’s straps have been untied form the bar, he too explodes into a bouncing mass of jubilation, but then does the unthinkable. He leaves Arnie hanging.